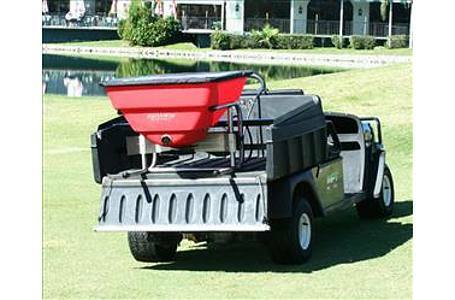 The M80ECM is the Ultimate 12-Volt Broadcast Spreader available today. 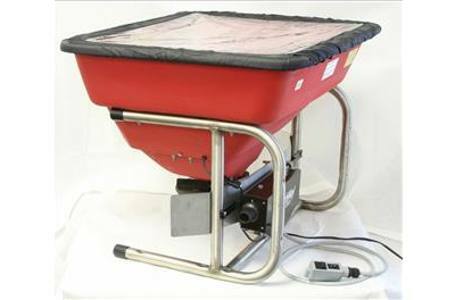 The 250lb/112kg Heavy-Duty rustproof hopper has unsurpassed capacity in the market of utility vehicle spreaders. Built on a sturdy 300lb/134kg load bearing stainless steel chassis, the M80ECM is designed to bolt to any vertical or horizontal surface and is built to last. 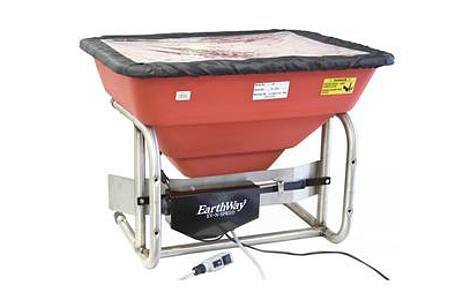 The M80ECM is equipped with the EarthWay Exclusive Electronic Control Module that allows you to not only remotely turn the motor On/Off, but to also control the Open/Close of the shut-off material flow, thus eliminating the need for cables or ropes. The numbered rotary-dial rate control allows for positive setting control and easy repeatability. The EV-N-SPRED® PRO Dual Port Adjustable Shut-Off technology allows the user to control the balancing of the spread pattern on both the left and right side throwing ports to equal the center. The M80ECM uses a high-torque 12-volt motor, mounted in the hopper and protected from the elements by a thermoplastic case. The capacity and control-ability of the M80ECM make it the choice of the professional that maintains large areas.